Joseph Leavitt, son of Moses and Dorthy Dudley Leavitt was born in the Brentwood Parish of Exeter on 23 March 1699. His father was an important man in Exeter and through his mother he was descended from a Governor of the Massachusetts Bay Colony, Thomas Dudley. Oddly enough, his is the only birth date recorded of all the children of Moses and Dorothy. Not much is known about Joseph and his family, and there is some confusion out there (internet) as to where he lived and where his children were born. Here is what I have put together after reading multiple New Hampshire town records and other documents. When Exeter was first formed it was much larger than it is today. Gradually other townships were split off from the original town. Joseph Leavitt and his brother Timothy lived in the Brentwood, Parish of Exeter. Joseph had been given his first lot of land in the 1727 division, he received 30 acres at that time. When his father died in 1731 he inherited 70 acres of land, in two parcels, one of 20 acres and the other of 50. He received a further 30 acres in a 1732 division. Whether or not this land was in Brentwood, I don't know. 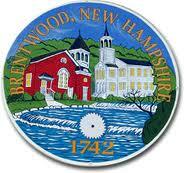 In 1742 Brentwood Parish was allowed to split off from Exeter and become it's own town. In their first town meeting in 1742 Timothy Leavitt was chosen moderator and Joseph the town clerk. The first order of business was the building of a town meeting house and securing a minister to preach there. This was easier said than done. A plot of land was identified as the chosen spot to build and Joseph was on a committee set up to ask him to deed them the land. When they met to vote on the final location a dispute arose. Apparently Brentwood is divided by a river and some of the men wanted the meeting house on the other side, their side, of this river. Timothy and Joseph were on the dissenting side. A lot of wrangling ensued, including the setting up of a new Parish called Keensborough. This only lasted for a few years and eventually the matter of the meeting house location was settled and the two sides reunited. Timothy Leavitt was a deacon in the Brentwood Church and was held in high regard there. In 1756 Jonathan Wadleigh died, leaving his house, land and animals to his daughter Mary Wadleigh Leavitt. I think that Jonathan may have moved back to Exeter at that time. The town books are out of order but I was able to find Joseph on the Exeter tax rolls in 1763, the first year I could find any tax rolls. In 1765 the following men were on the Exeter tax rolls: Joseph Sr., Joseph Jr., Nathaniel, Jonathan, Moses, Weare and Dudley. These are Joseph and his sons. Joseph remained on the Exeter tax rolls until at least 1779. He signed a deed that year selling some land inherited by his second wife Sarah Gilman. In that deed Joseph was described as a Cooper; coopers made barrels, tubs, buckets, etc. Joseph's sons began moving out of Exeter in the 1760's, new towns were being formed and land was available to those willing to take it on. His eldest son, Nathaniel, seems to have left some time after the 1770 tax roll, the last year his name appears in Exeter. In the 1790 census Nathaniel was in Chester, Joseph Jr., Jonathan and Wadleigh were in Northfield, and Moses, Joshua and Dudley were in Deerfield. I do not believe that Joesph left Exeter for Deerfield until after the 1779 sale of his land. This was also the last year his name appeared on the tax rolls of Exeter. I think he went to Deerfield as an old man to live with one of his children. 3. Joseph Jr. b. 25 April 1733 m. Love Leavitt his first cousin, d/o his Uncle Dudley Leavitt d. Northfield? Joseph, like most able bodied men of his time, served in the militia during the French and Indian Wars. Most of his service consisted of short term sorties lasting from less than a week to a few months. In 1724 Captain Daniel Ladd led a group of men on a six day sortie looking for Indians in the direction of Lake Winnipisaukee. No Indians were found. In 1746 Capt. Ladd again lead a group of about 50 men from Exeter on a scouting party to the north near the town of Canterbury, NH. Joseph was with about 14 men under Sgt. Joseph Rawlins who brought supplies from Portsmouth to Canterbury for the soldiers stationed there. Although many writers believe that Joseph participated in the Crown Point Expedition of 1755, I think it is much more likely that it was his son, Joseph Jr. along with Nathaniel who participated in that event. Mary Wadleigh Leavitt died sometime after 1763 when she was named in a will and before 1779 when Sarah Gilman is named as Joseph's wife. The date is typical given as 1767 but I cannot find anything that would confirm this. Joseph wrote his will in Deerfield in 1783, it was probated in Rockingham County in 1793. His son Dudley was the executor, he may have lived with Dudley at the time of his death as he was quite old by then, an amazing 94 years old. OK this might make some people mad, but I think the Leavitt plaque is full of errors. I don't think Mary Wadleigh was born, died or ever lived in Deerfield, NH. Deerfield was orginally part of Nottingham, HN, it was split off and became a separate town in 1766. Joseph's name does not appear in the Deerfield town records, but it does in Exeter. I think all his children were born in Exeter and not Deerfield or Gilmanton.